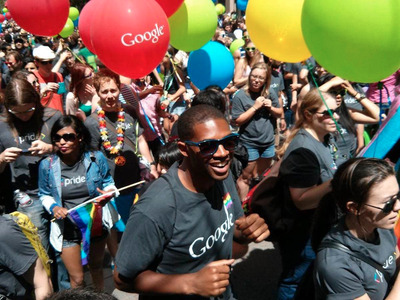 With well-publicised employee perks and great pay, it’s easy see why Google consistently rates as not only the best tech company to work for, but the best company to work for overall in the US. Employees rate the company a 4.4 out of 5 stars on Glassdoor, CEO Sundar Pichai is the highest rated CEO on the site, and the company has added 9,000 new jobs in the last year. But what’s it really like to work there? We read through Glassdoor reviews to find out some of employees’ favourite things about being a Googler. Jillian D’Onfro contributed to an earlier version of this report. 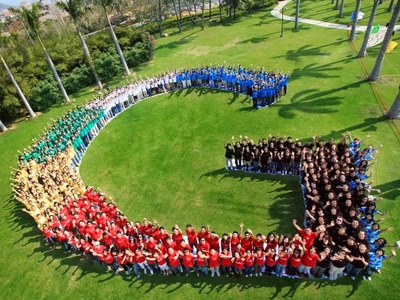 Google treats its employees to parties and outings like ski trips to Vermont and picnics during the summer. 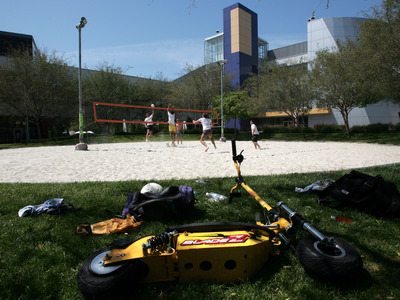 Employees have access to gyms, volleyball courts, a bowling alley, and an outdoor sports park at Google's Mountain View campus. Wellness is a priority at Google, so employees are encouraged to use the company's facilities to exercise, employees say. The company serves employees three meals a day, all of which are free. 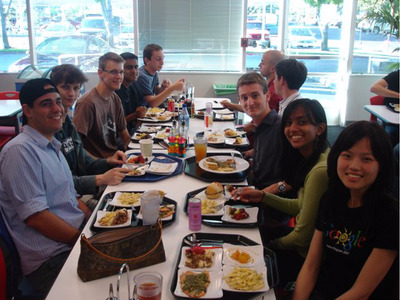 Google is known for serving gourmet food, and has numerous cafes and food trucks at its Mountain View campus. 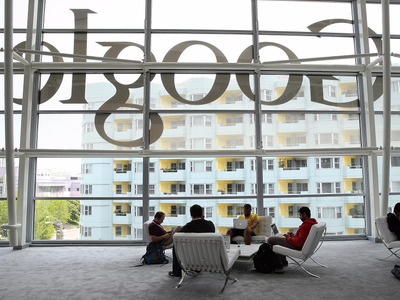 Google spends millions each year on food for its employees and staffs its kitchens with hundreds of employees. Google employees make a median salary of $140,000, and employees say they get healthy bonuses, stock options, and superannuation matching. And 86% of employees say they have high job satisfaction. The company added 9,000 jobs last year. 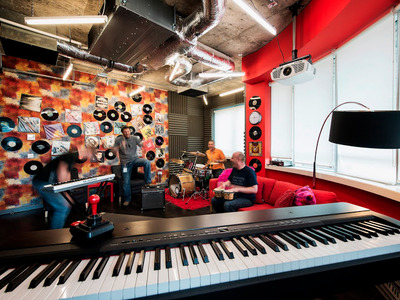 There are all kinds of perks like massages, music lessons, and the option to bring their dogs to the office. 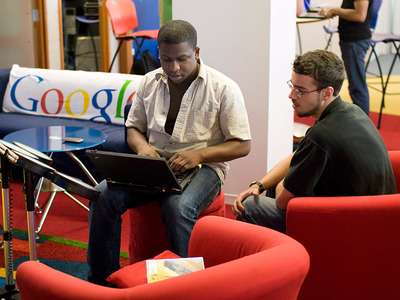 Many Googlers talk about the flexibility within the company and say that they have moved to new teams, projects, or departments fairly easily. As long as employees are performing well, they're able to move around within the company. Employees also say that promotions are fair and happen frequently. 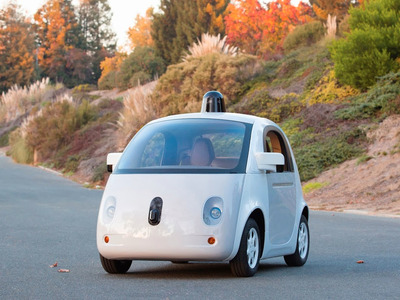 One software engineer said he got to spend 20% of his time on the self-driving car team. Google has its own in-house tech support called TechStop, which is open 24/7 to help employees with hardware and software issues. 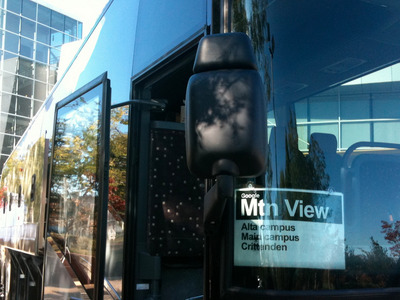 Commuting is free for Google employees at the Mountain View campus: they can ride a free shuttle bus to work each day. The buses come equipped with Wi-fi, so employees can either relax or get some work done during their commute. 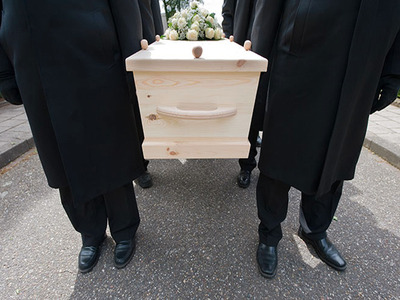 Google offers benefits to the spouse of any employee who dies. Google makes sure to help out the families of deceased employees. If employees die, not only does their stock immediately vest, but their husband or wife will get half of the employee's salary for 10 years, plus $1,000 per month for any children. 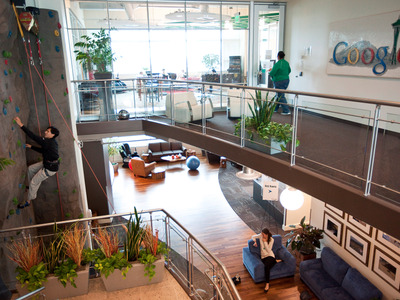 Google's facilities are top-of-the-line, featuring indoor rock-climbing walls, façades designed by well-known architects, and breathtaking views. Google's San Francisco office has stunning views of the Bay Bridge, while the company's Los Angeles office is located inside Frank Gehry's famous Binoculars Building in Venice Beach. Employees generally respect their teammates. 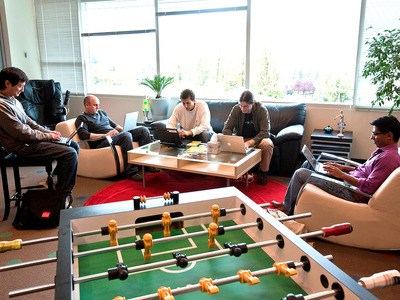 Employees work at Google's Kirkland, Washington office. 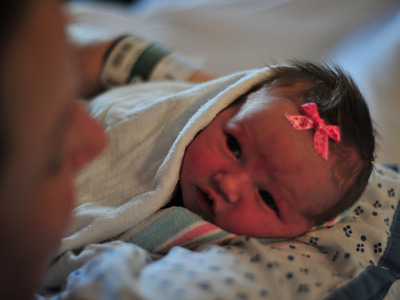 Google's parental leave policy is unusual, employees say. New dads can take up to six weeks off (which is a typical policy for new mothers) while mums can take triple that. And employees' stock continues to vest while they're on leave.